Cheapism.com, a website that specializes in sharing affordable products, deals, and services, compiled a list recently of the top six most affordable, fast-growing US cities, and Austin and Fort Worth topped the list! To compile the list, Cheapism.com found the fastest growing cities in the U.S. and whittled them down by combing through a range of vital stats on each city, seeking out the most recently publicly available data. They awarded these cities a score of 1 to 6, based on where they fell relative to the competition. The most weight was given to the cost of living, which accounts for housing, food, transportation, and health care expenses. Median household incomes were also factored in, as were unemployment rates and state and local income and sales tax rates. Not surprisingly, many of the top six were Texas cities. Houston fell at number 5 with a cost of living index at 88.9, and a median household income of $44,648. San Antonio came in at number 3, with a cost of living index of 85.7 and a median household income of $44,937. Coming in at number two was Fort Worth, with a cost of living index of 90.1 and a median household income of $51,105. Fort Worth’s unemployment rate of 5.56 percent and no state income tax, combined with extremely low home prices (median of $93,500) makes it a great city to live well on a budget. Also mentioned is their nonprofit bike sharing service, and industry incubator that is opening in an effort to foster small business growth. 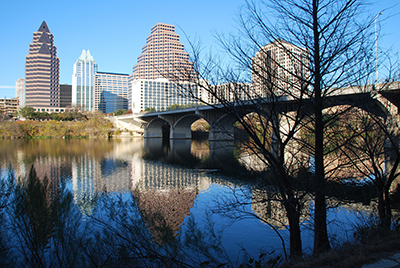 The number one spot went to Austin, TX, with a cost of living index of 102.1, and a median household income of $52,431. Austin’s unemployment rate of 4.7 percent is well below the national average, and the city is known for supporting large companies such as Dell, Texas Instruments, Apple, and more, as well as startups. Dubbed the Silicon Valley of Texas, Austin leads the nation in technology jobs, which attracts many younger adults. With abundant outdoor activities, and affordable nightlife prices, Austin is the perfect place to live if you like affordable, active, fun cities!